For a long time, Tanzania’s Serengeti has been overshadowed by Kenya’s Maasai Mara as the place to see the great migration. But the vast Serengeti (which is several times the size of the Maasai Mara) has been growing in popularity, and this beautiful, fertile country, remains un-crowded and unsurpassed in its abundance of wildlife. 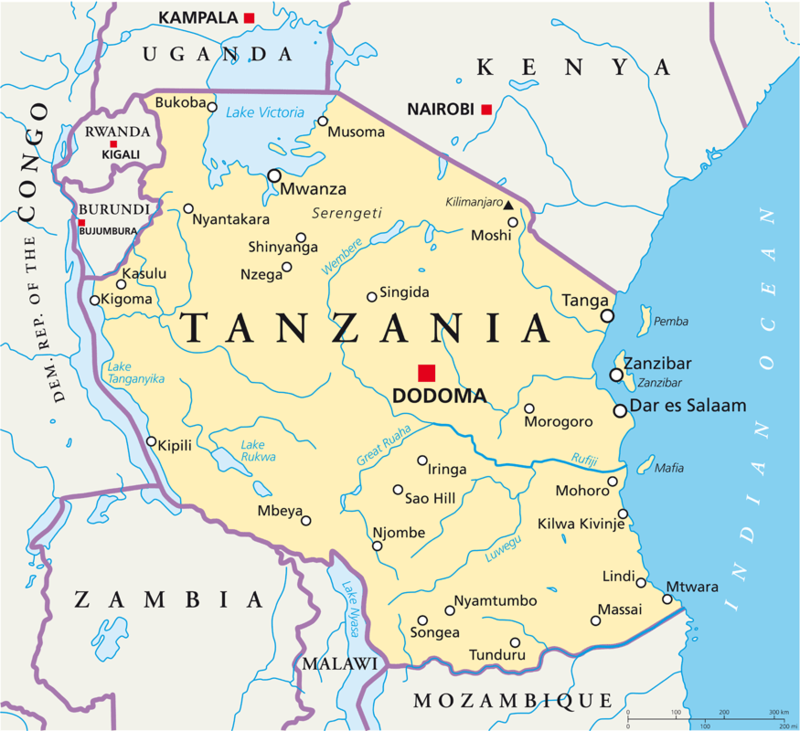 Tanzania is one of the most diverse countries in Africa, with savannah grasslands, beautiful lakes, flowing rivers, unique wilderness areas, and majestic mountains. There are magical lakes, like Lake Manyara, edged pink and white with flamingo and great white pelican, or the very deep Lake Tanganyika at the foot of the Mahale Mountains. Tanzania is also home to the extraordinary Ngorongoro Crater, the strikingly beautiful caldera whose 100 square mile floor is the natural sanctuary for the greatest concentration of animals on the planet, including elephant and the endangered black rhino. It is understandably a very popular spot, and the trick is to get into the crater as early as possible. Tanzania is also home to the iconic, snow-capped Kilimanjaro, the highest free-standing mountain in the world, which you can climb if you’re fit enough and feeling energetic, or you can cheat by flying over in a helicopter. Another major point of interest is Olduvai, commonly acknowledged as the true site of the cradle of mankind, where the fossils of 60 hominins (human predecessors) were found in a steep-sided ravine in the Great Rift Valley. For the ultimate safari, head to the Serengeti during the annual wildebeest migration and witness the largest wildlife spectacle on earth, with herds traversing the plains heading north, and in their wake the dominant predators, lion, hyena and cheetah. To the west is magnificent Lake Tanganyika, one of the world’s deepest lakes, framed beautifully by the Mahale Mountains with its population of chimpanzees. Also in the west is the remote and relatively undisturbed, wilderness of Katavi; teeming with wildlife. In the centre of the country is the huge Ruaha National Park with an intriguingly diverse habitat and variety of game, while in the south east, the vast Selous Game Reserve offers an alternative to traditional game viewing with exhilarating safaris on foot or by boat along the Rufiji River. Complete a safari in Tanzania with a relaxing few days on romantic and evocative Zanzibar or one of its islands. Only 26 miles from the mainland, steeped in history, and renowned for spices and beaches, these romantic islands are ideal for rest and relaxation after your safari, with a touch of the exotic.